Type 2 Diabetes (T2D) is spreading at an alarming rate, where approximately one person in the UK is newly diagnosed with diabetes every two minutes (1). In most cases, T2D can be managed by undertaking dietary and lifestyle changes. Along with modifying lifestyle habits, supplementing the diet with therapeutic herbs may help manage blood glucose levels in diabetics, as suggested by compelling scientific evidence (2). In particular, ginger supplementation has been found to improve fasting blood glucose levels and insulin sensitivity in T2D (3). After analysing results from 10 different studies involving 490 participants, Zhu et al. encouraged the use of ginger to help manage T2D (3). The included studies randomly assigned participants to take a ginger capsule or a placebo. The dose of ginger ranged from 1-3g/day, and the intervention trials ranged from 1-3 months in duration. After ginger supplementation, a decrease in HbA1c (glycosylated haemoglobin), fasting insulin and HOMA-IR (insulin resistance index) was observed, thus supporting the proposed benefits of ginger. In addition, ginger supplementation improved blood lipid profiles of participants, which may reduce cardiovascular disease risk. It is proposed that the gingerol and shogaol, the main active ingredients of ginger, contribute to the detected glucose-lowering effects. Moreover, 6-gingerol is believed to stimulate glucose metabolism, and may protect pancreatic ? ?-cells, that are responsible for insulin production (4). 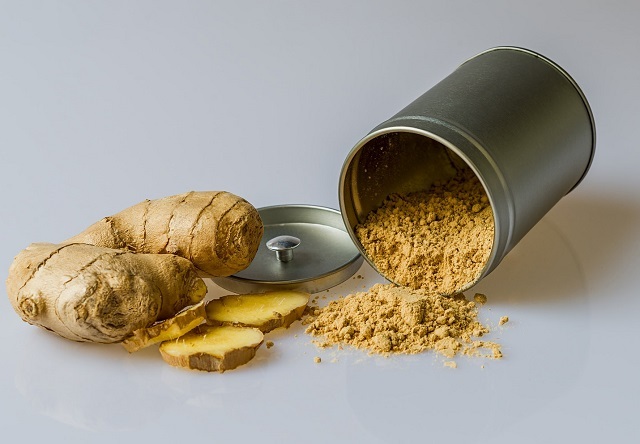 Although the current evidence is promising, long-term trials are required to assess the efficacy of ginger on disease prevention and T2D reversal. In conclusion, daily ginger supplementation by 1g may be safely incorporated into a diabetic’s lifestyle, to promote balanced blood sugar levels. 2) Chang, Cicero L. T. et al. “Herbal Therapies for Type 2 Diabetes Mellitus: Chemistry, Biology, and Potential Application of Selected Plants and Compounds.” Evidence-based Complementary and Alternative Medicine : eCAM 2013 (2013): 378657. PMC. Web. 2 Feb. 2018. 4) D. Chakraborty, A. Mukherjee, S. Sikdar, A. Paul, S. Ghosh, and A. R. Khuda-Bukhsh, “ Gingerol isolated from ginger attenuates sodium arsenite induced oxidative stress and plays a corrective role in improving insulin signaling in mice,” Toxicology Letters, vol. 210, no. 1, pp. 34–43, 2012, http://dx.doi.org/10.1016/j.toxlet.2012.01.002.